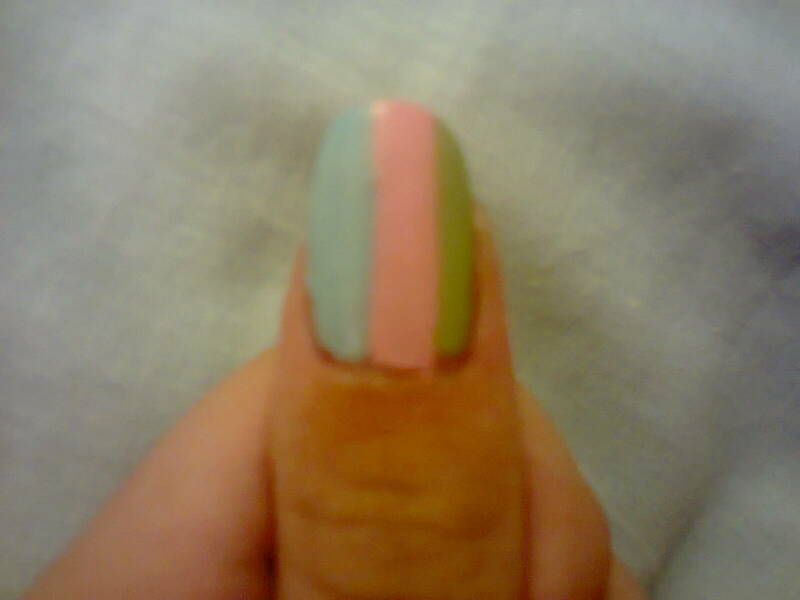 These were my three stripe colours. 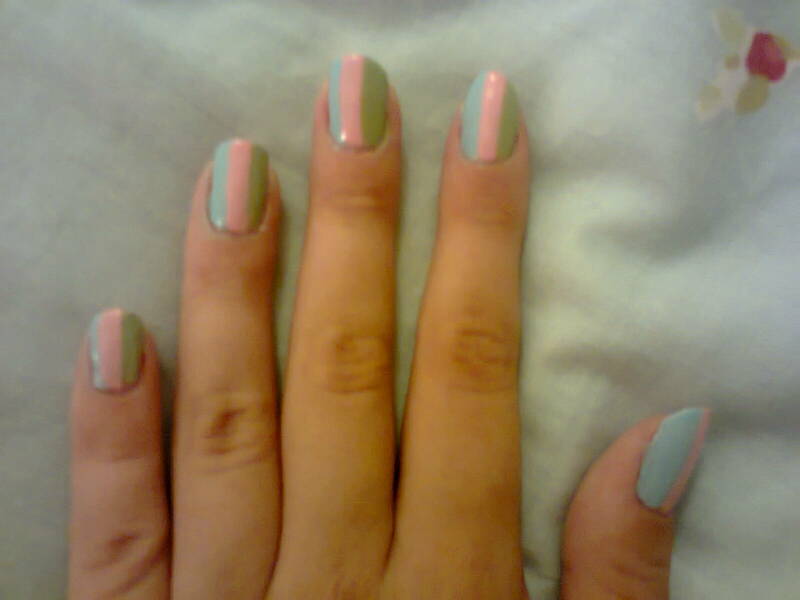 From L-R: Essie Navigate Her, OPI Pink Friday and Taras Talons Curacao. 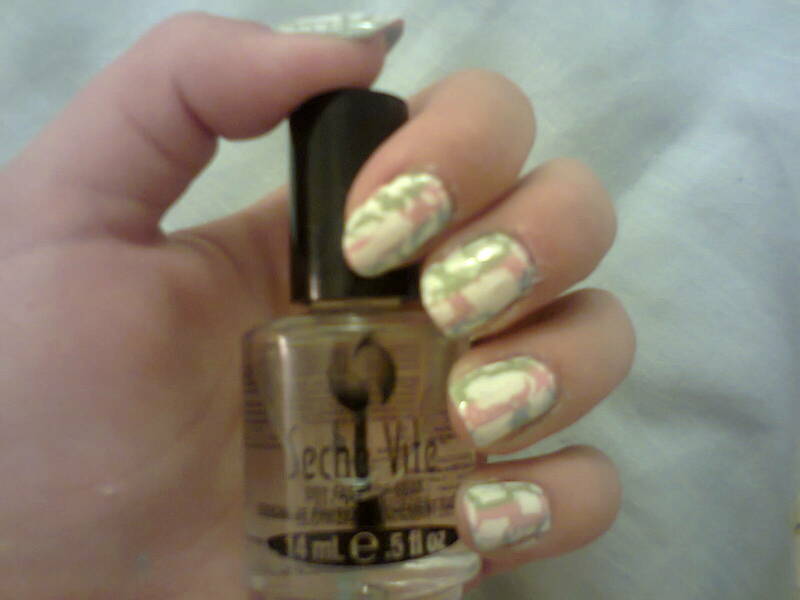 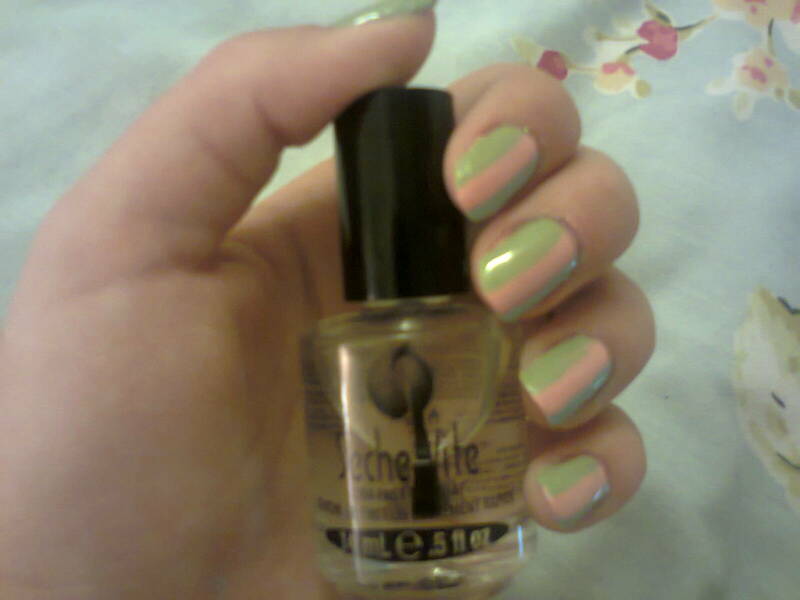 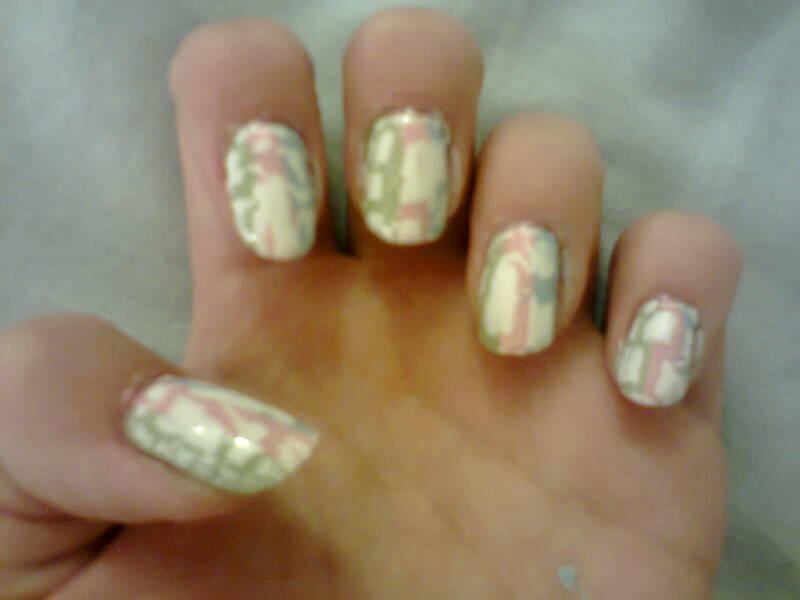 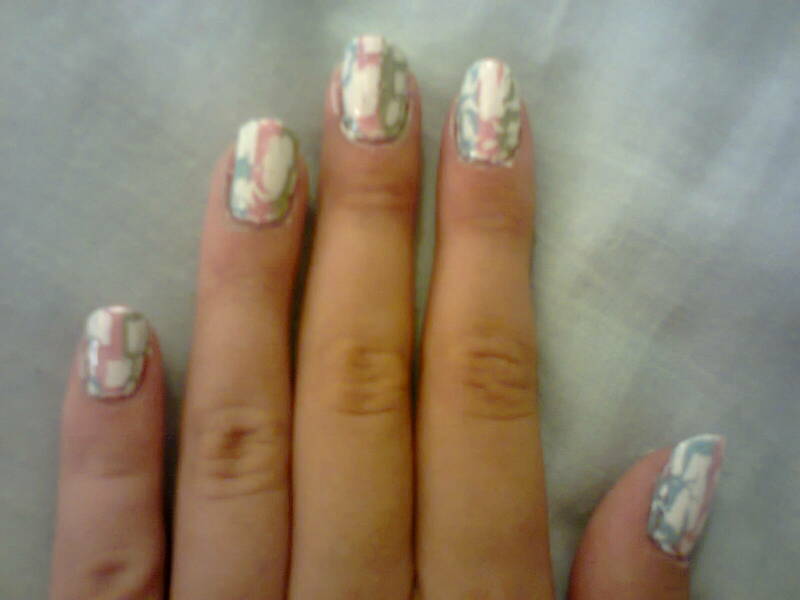 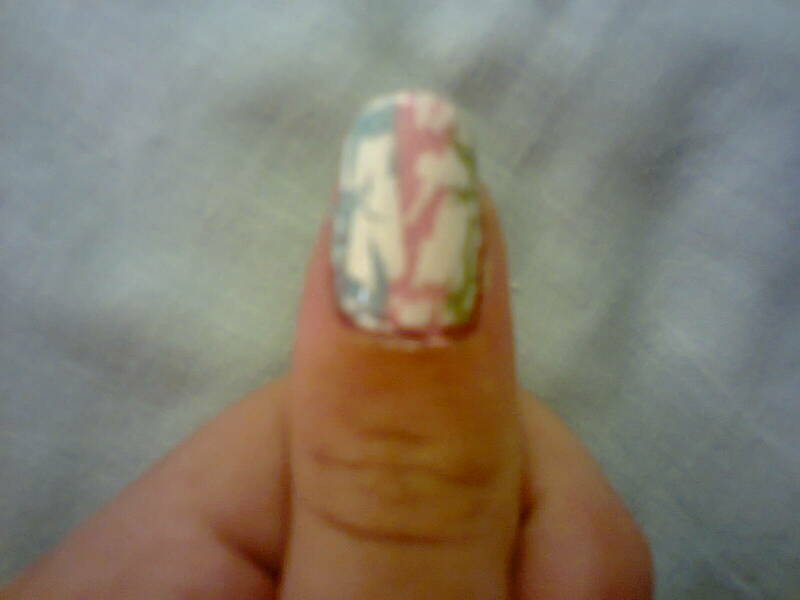 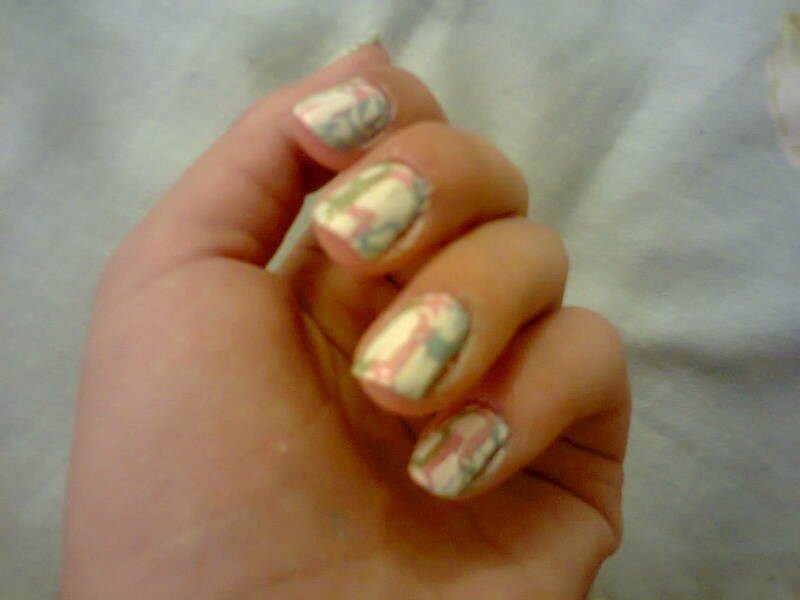 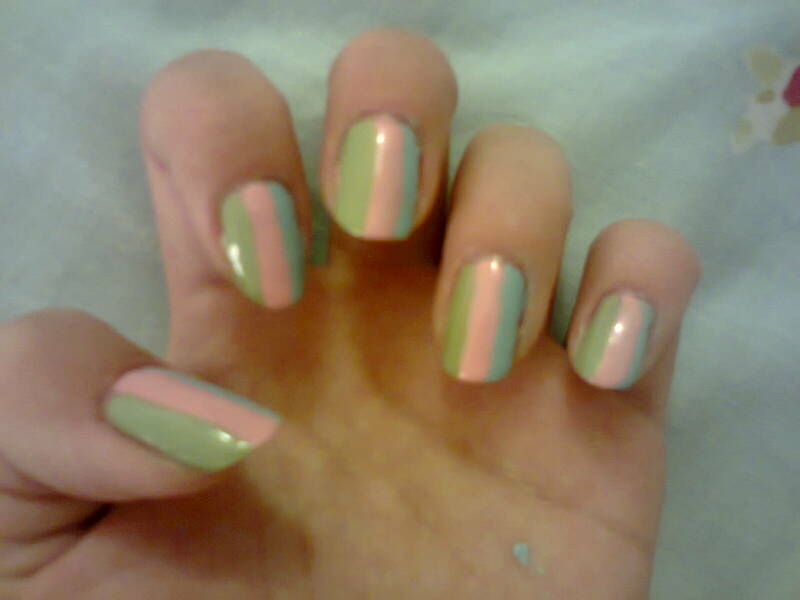 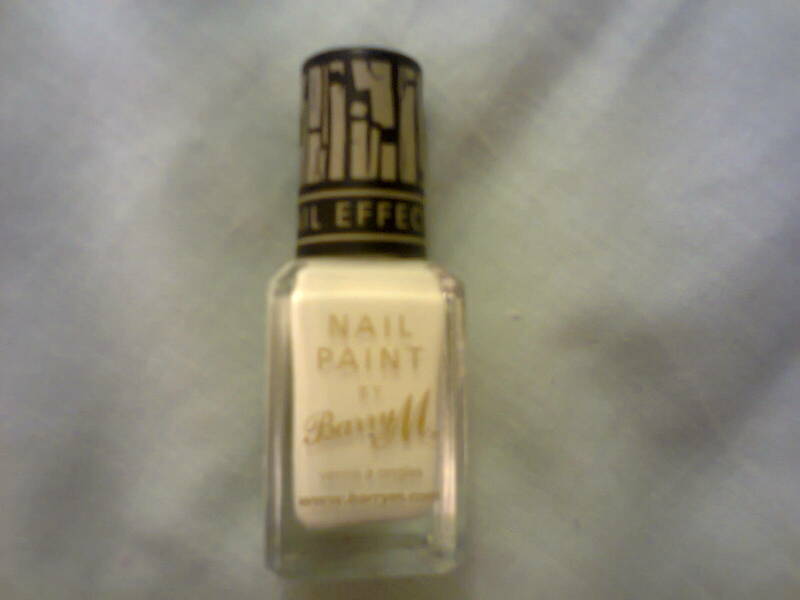 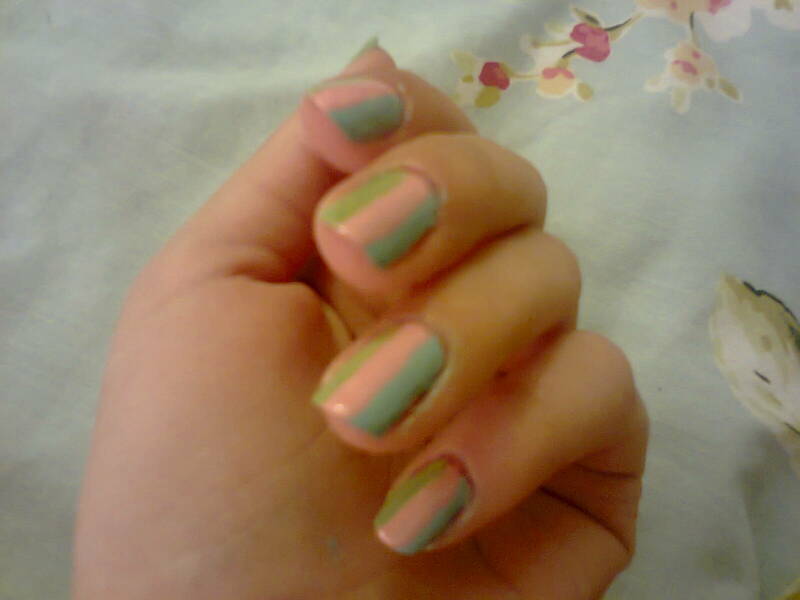 Here are my nails when i had finished the stripes and applied a top coat.